You need to install at least 5.2.14 version of SambaPOS to be able to use with Android Mobile Client. 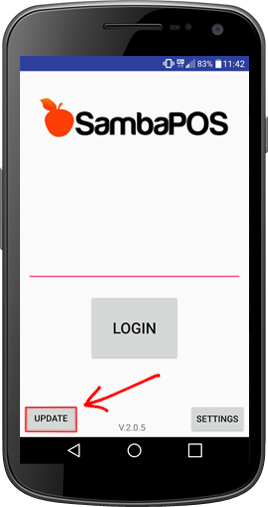 NOTE: SambaPOS Android Mobile Client will check license through SambaPOS server, therefore SambaPOS server always needs to have internet connection. 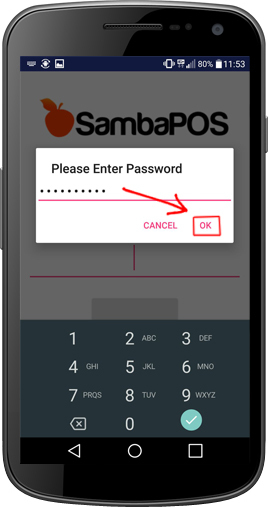 Mobile Client Licenses must be in same account with SambaPOS v5 license. – Android version must be 4.0 or higher. – Update the version of Android. 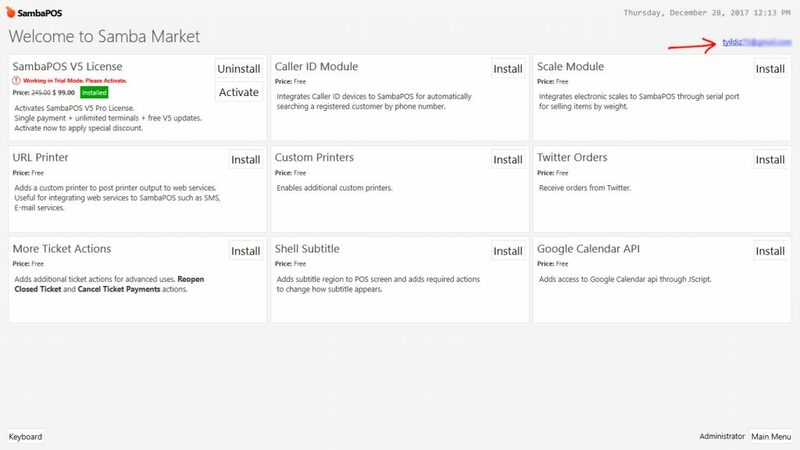 – Check the system date of device or activate auto update. – Close or delete all unnecessary applications. – Android device and SambaPOS Server must be in the same network and IP group. – You need to have internet for setup. You don’t need internet after setup. SambaPOS Server and Mobile Client must be in the same IP group. Server: Go to Control Panel > Network and Sharing Center > Change Adapter Settings > Local Area Connection > Internet Protocol Version 4 (TCP/IPv4) > Properties > Write a static IP. Please deactivate all third party internet security and firewall services. 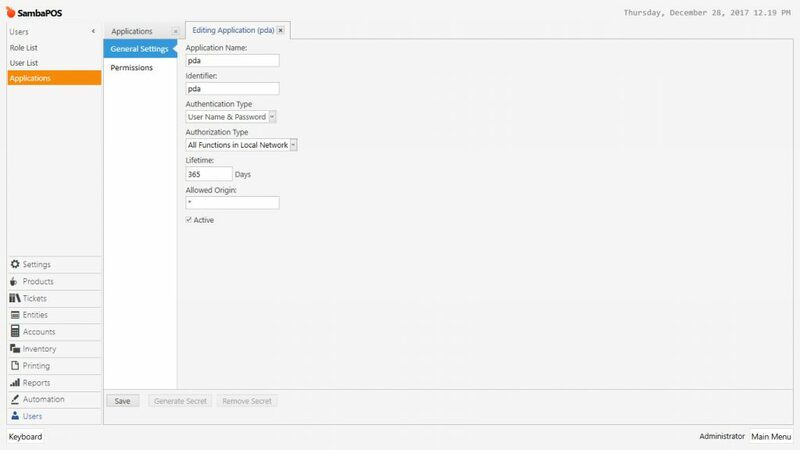 Note: If you don’t have MSSQL database, please visit the link to configure settings https://kb.sambapos.com/2-1-3-sql-express-server-setup/?lang=en Mobile Client doesn’t work without MSSQL database. – Please deactivate all third party internet security services and Windows Firewall. 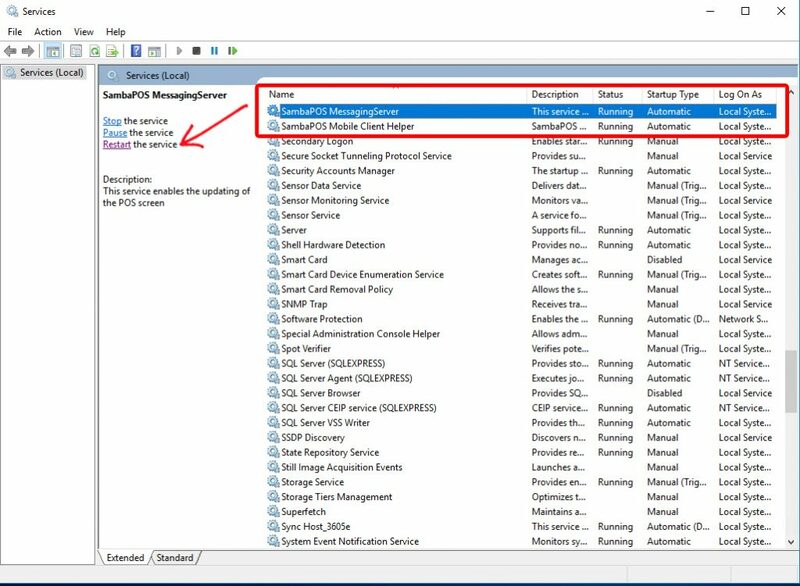 Go to SQL Server Configuration Manager and “Enable” TCP/IP Sharing to connect MSSQL Database from clients. Check your SambaPOS V5 license. If you see “Unregistered Trial” you can not use Android Mobile Client App. You need to have SambaPOS V5 license. 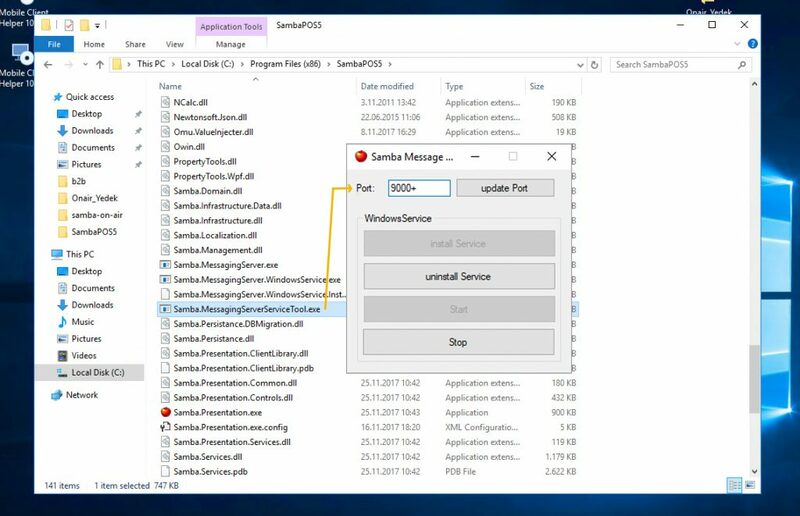 Run SambaPOS MessagingServer in SambaPOS Server PC. Attention!!! Please don’t forget to restart SambaPOS MessagingServer from Services, if you add a user to SambaPOS. Attention! : Pda user is created for Android Mobile Client connection. It can not be used by staff. 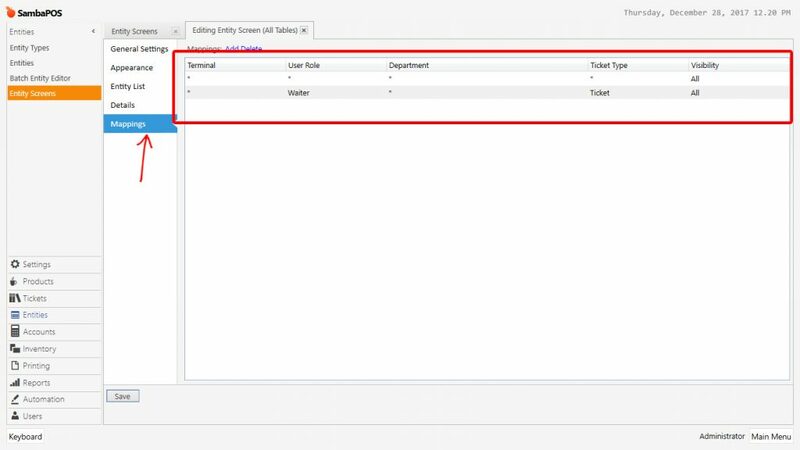 In order to perform user login from mobile application, in SambaPOS V5, you have to create new users in waiter role. Add a new line for Waiter role. 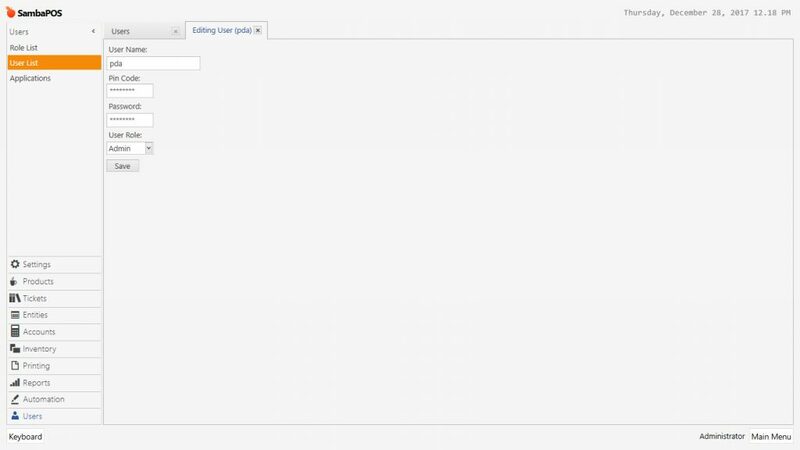 If you need to use more than one entity screen, you must repeat the same process for them too. Note: If you don’t need this feature, you can skip this step. Add a line for Waiter role. 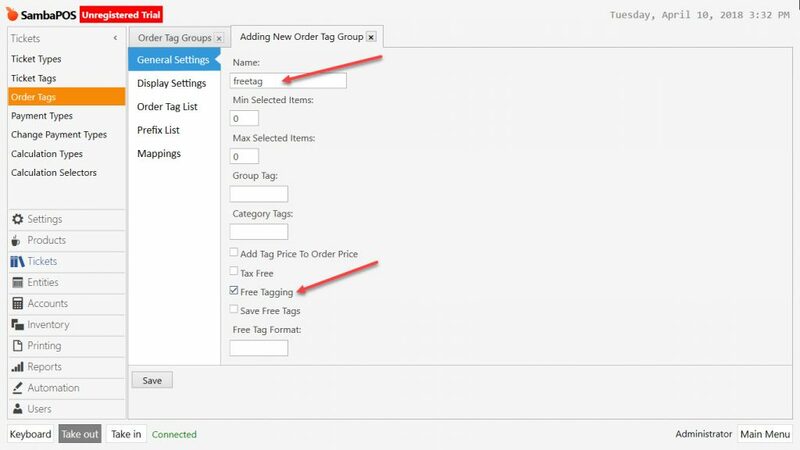 Create a tag by using lower case, name it as ”freetag” and activate Free Tagging box by selecting it. 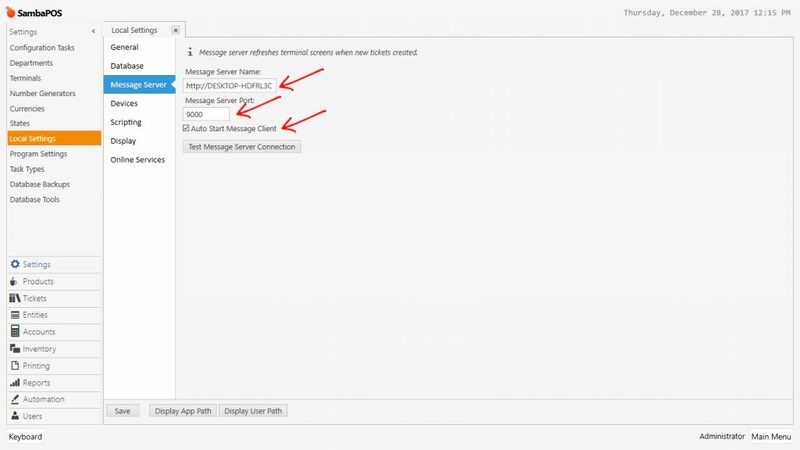 Find Settings: Finds the settings automatically by connecting to server pc. 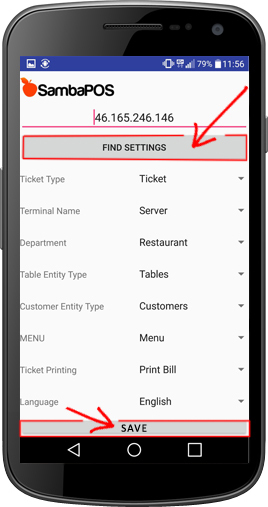 Ticket Type: Andriod Client ticket type. Terminal Name: Android Client Terminal name. Department: Android Client Department name. 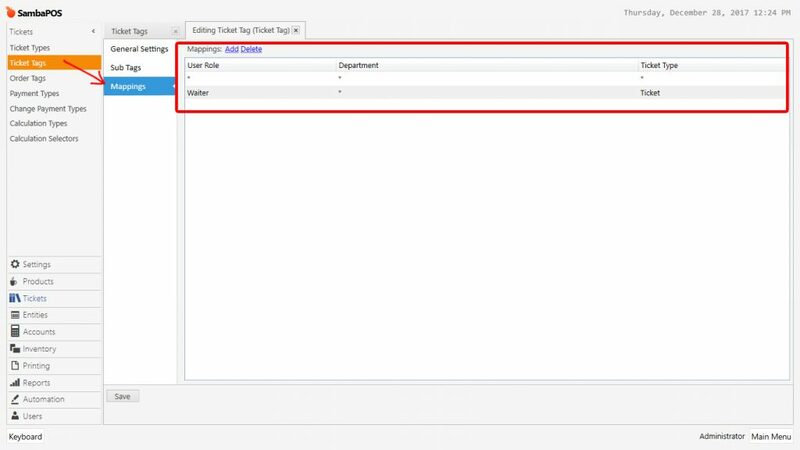 Table Entity Type: Android Client table entity type. 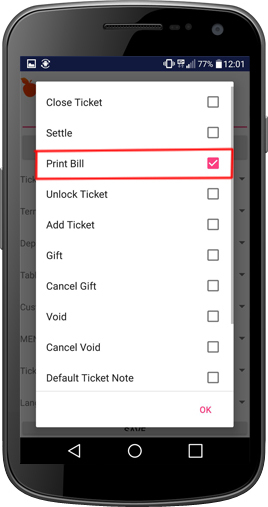 Customer Entity Type: Android Client customer entity type. Ticket Printing: Selects the printers. You can select more than one. Click on Update button and wait. If you change anything in SambaPOS, you need to click on Update button again. 6.5. 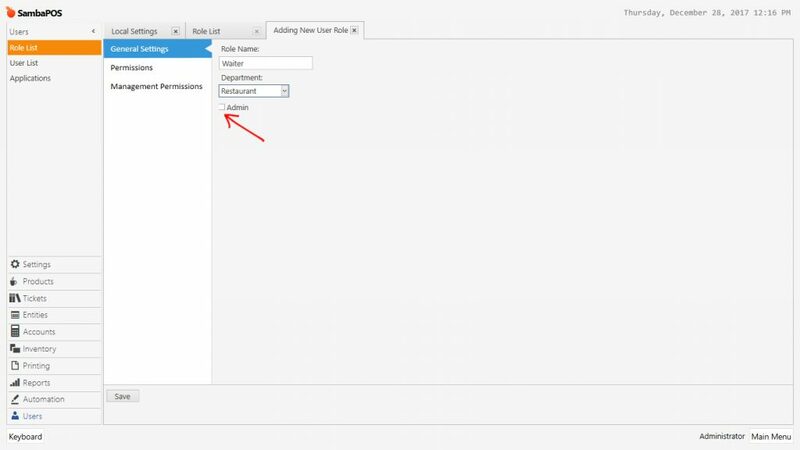 How to Setup RestaJet Integration Module?